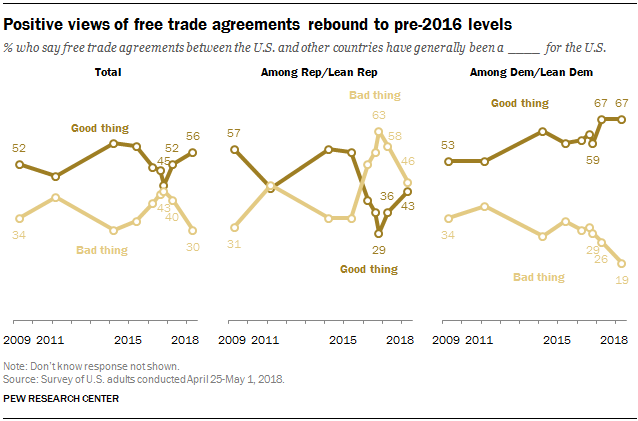 Americans’ views of free trade agreements, which turned more negative during the 2016 presidential campaign, are now about as positive as they were prior to the campaign. 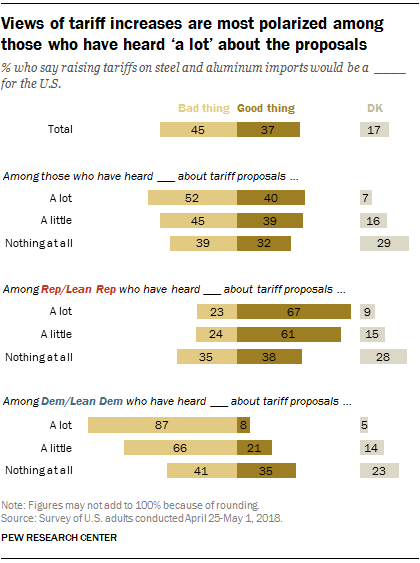 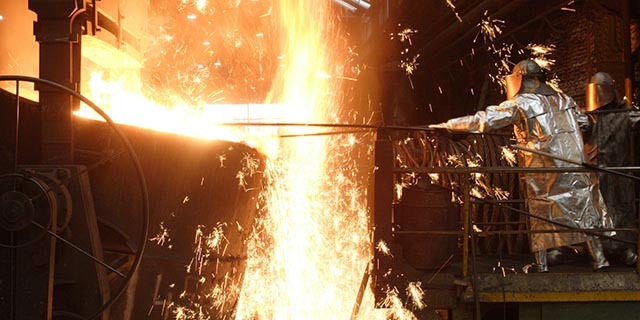 And when asked about proposed tariffs on steel and aluminum, more say they would be bad for the country than say they would be good. 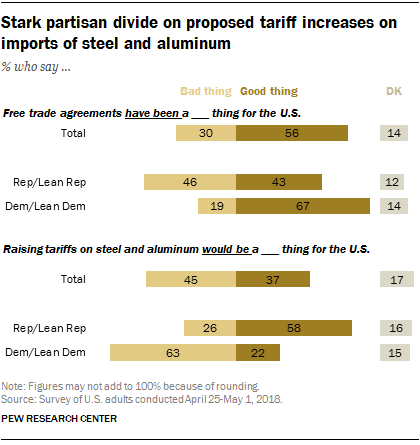 Note: Read the full report, methodology and topline results here.